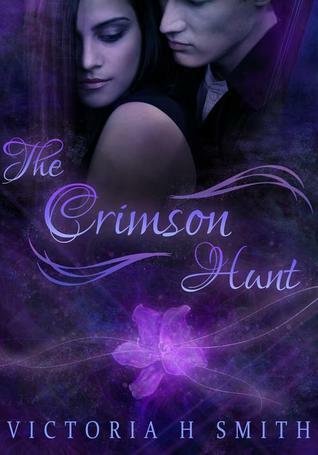 Thanks to AToMR Tours, we're spotlighting a brand new New Adult sci-firomance, The Crimson Hunt, by Victoria H. Smith! Keep scrolling to check out an excerpt of the book and then enter to win a copy for yourself! We sat in peace, watching the water. Buoys bobbed in and out of the waves. And a white wooden lighthouse shined a rotating spotlight in the distance. The Earth seemed to stop in that moment, the night sky both soothing and tranquil. Nothing and no one could break our serenity here. I felt millions of miles away from the party. I didn’t want to go back. I just wanted to take in my surroundings with him by my side. He glanced back my way. “Isn’t that what anyone wants?” I asked. My answer sent a smile to his lips. His response held a bit of sadness I didn’t understand. He looked back at me, and something in his stricken expression made me feel like he wanted to say more, but didn’t know how. This looks wonderful! Another new author for me to checkout! I had the amazing chance to beta this story and wow! Very, very cool. The only bad thing is I have to wait for the sequel! Loved the fantasy behind it! And Luca is now one of my new book boyfriends (cause I have only a handful, ha! ).